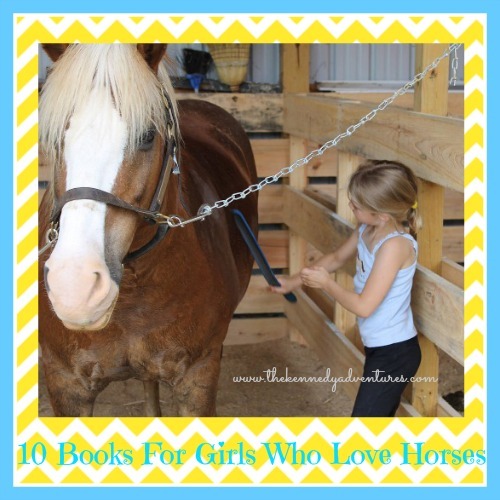 10 Books for Girls Who Love Horses - The Kennedy Adventures! As a homeschooling family, our schedule is pretty flexible. If one of our children shows an interest in a particular subject or sport, we’re able to spend time to explore it further. Right now, Rachel is obsessed with horses and horseback riding, along with books about horses. Last year, we bought a Groupon for riding lessons. Nine months later, she’s taking weekly lessons, riding in competitions, spending a week at riding camp, and talking about buying a horse. 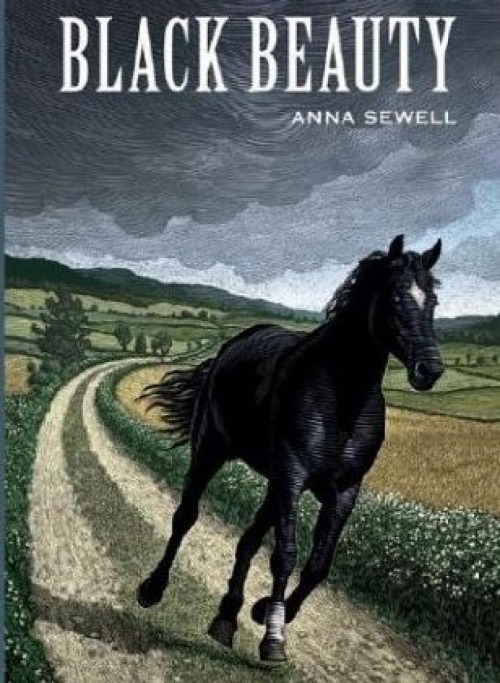 In this autobiographical memoir, you’ll follow the story of Black Beauty, from his childhood on an English farm, to a hard life pulling cabs in London and finally to a happy retirement in the country. The success of this story was instrumental in advancing movements for the ethical treatment of animals. Since it’s been a while since I’ve read the book or seen the movie, I checked out the reviews of Black Beauty over at Common Sense Media. It’s my all time favorite resource for reviews on books, movies, video games and apps. Black Beauty is also available for free on your Kindle. We discovered this Marguerite Henry book a few weeks ago, and even the boys loved the story of Misty, the wild pony. We learned about the wild horses who swim from Assateague Island to Chincoteague Island every year. Learning about the author’s early writing career was amazing – she began writing when she was seven! We’re looking forward to reading more of her stories soon. While we were at the library picking up books for Rachel’s summer reading, I spied this book on the shelf. It’s not a classic, but I knew Rachel would enjoy reading about Princess Ellie. 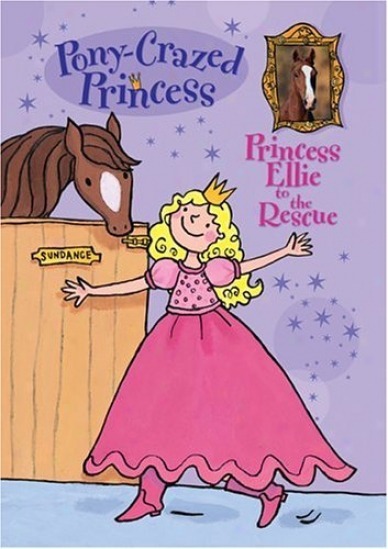 You’ll follow Princess Ellie as she turns her nose up at royal princess duties and heads for the horse barn. We have a few of these DK sticker books at home. 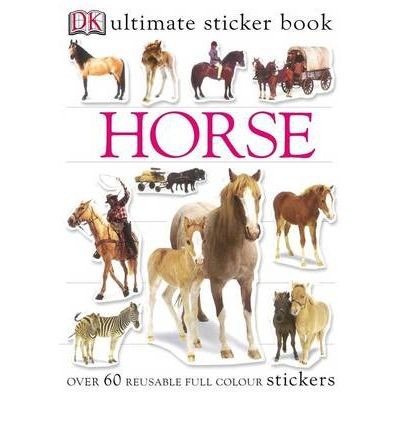 We also love the Pony sticker book from DK. 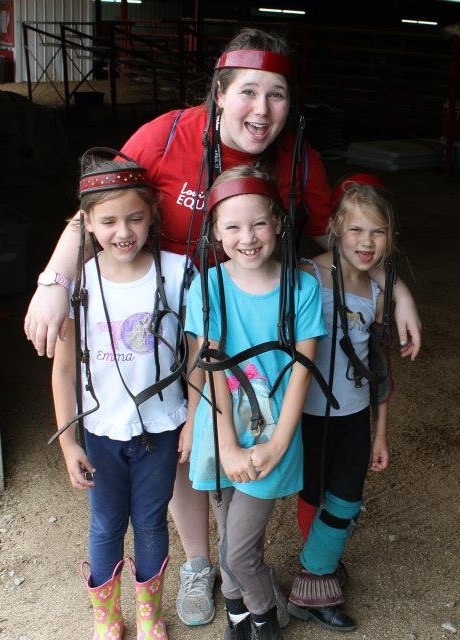 Kids can practice their fine motor skills while learning about the different breeds of horses, horse markings and more. These stickers are reusable for an added bonus! We’ve been fans of the Magic Tree House series for a few years. For her birthday this year, Rachel received Stallion by Starlight along with the accompanying non fiction Fact Finder book Horse Heros. Stallion by Starlight explores the story of Alexander the Great and his famous horse Bucephalus. 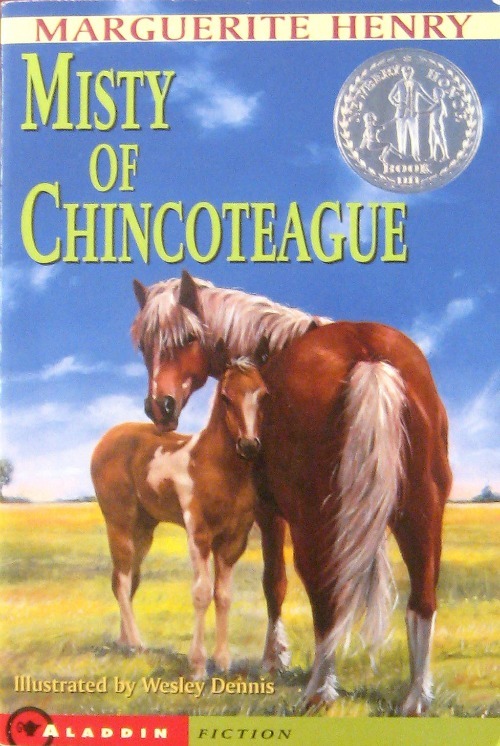 Once you’re finished reading the fictional tale, you and your children can read Horse Heros together. You’ll learn about the history of horses, horses in sports and the different need for horses. It’s a great way to start some lapbook learning. We have the Horses Project Pack from In the Hands of a Child along with the Horses Lapbook and Study Guide from A Journey into Learning. Rachel actually read this book BEFORE she began riding, and it sparked a fire in her. She loved reading about the adventures of Billy and his horse Blaze. You may have to search a bit for this series of classics (11 books in all). I’ve only been able to find a few at my library. 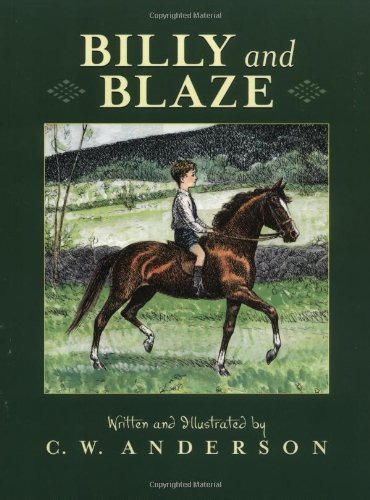 Don’t miss the lapbook for Billy and Blaze over at Homeschool Share. Ready to learn about life on a ranch? You’ll need to add My Friend Flicka to your library. We’ve been working on this classic during storytime. It’s another favorite from my childhood, and I’m excited to share the story of Ken and his wild horse Flicka. 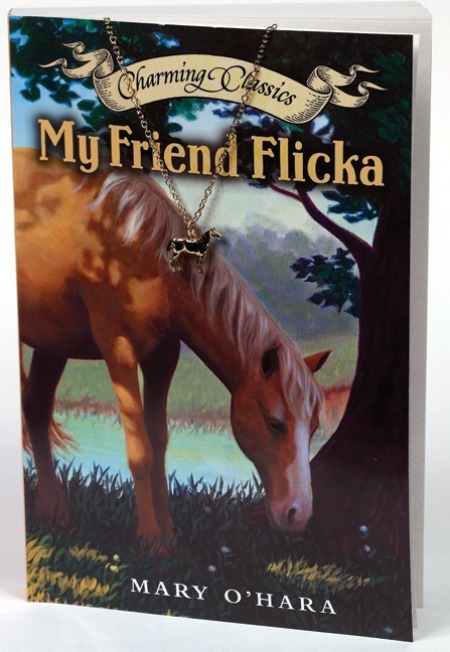 Once you finish the book, you can check out My Friend Flicka on DVD. This unique book comes from from the standpoint of the horse! 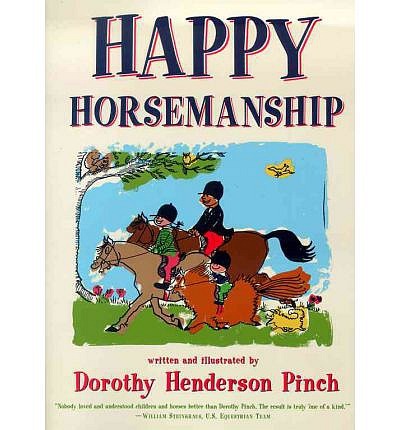 It provides a light-hearted look at horses and horseback riding, and explains safety rules on a child’s level. I wish I’d picked this book up when Rachel started riding. It has information about horse safety, horse behavior and preparing for your first horse show. 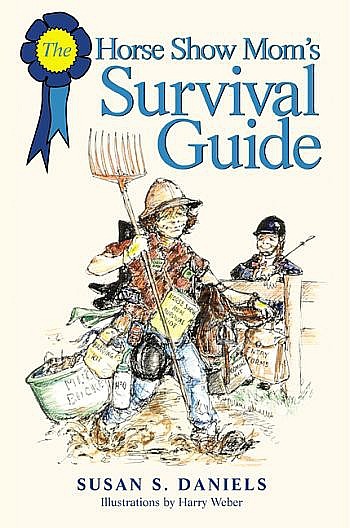 There’s even an entire series of Horse Wise Guides, covering topics like owning a horse and taking up riding as an adult. When Rachel first started riding, I had no clue about horse world. I think horses are beautiful, but they scare me to pieces. Slowly, I’ve began to learn more about horses, riding equipment, horse shows and competitions. This book is a valuable resource for me to learn more about the sport that my daughter loves so much. Is there another book that we need to add to our list? Share it in the comments! You’re awesome! Will be adding these to my list! How is Z enjoying Harry Potter? I squealed out loud when I saw that! Z is LOVING Harry Potter, and truth be told, so am I. I read it as an adult, and it’s so awesome to experience it with him for the first time. 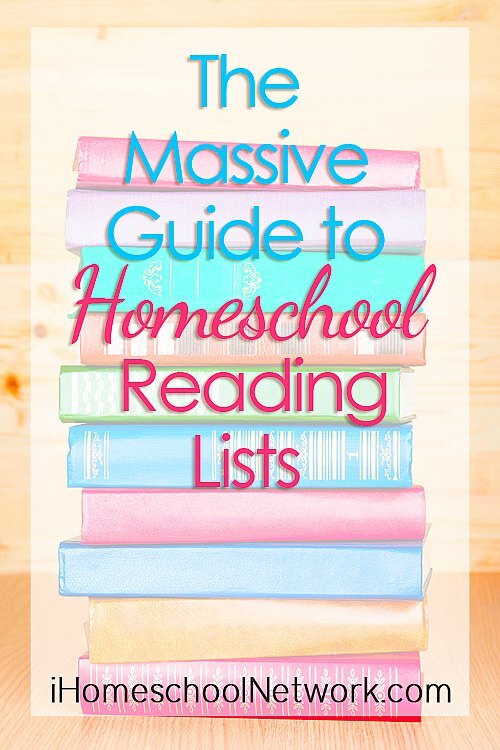 Loved this list! Our favorite Marguerite Henry book was The White Stallion of Lipizza. My girls want to go to Austria because of that book. 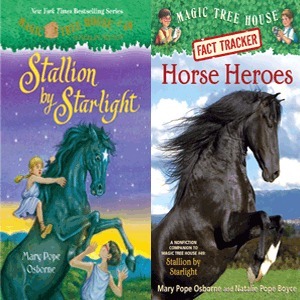 Another great author is Dandi Daley Mackall – she writes horse books for Christian girls. My oldest loved her Winnie the Horse Gentler series. Thanks for the suggestions, Aadel! We really enjoyed Misty – I’ll be sure to check out the Stallion of Lipizza. My daughter is in love with horses. We spend every Friday at a horse rescue and these are some of our favorite books. That’s awesome, Rebecca! So glad to see you again! I know, right? Looks just like her, no? I’d love to put in a plug for my series, the Shade Break Farm books. They follow Sarah, a young girl who aspires to go to Rolex with her rescued thoroughbred. Appropriate for 9-12 years old. You can find them on Amazon!